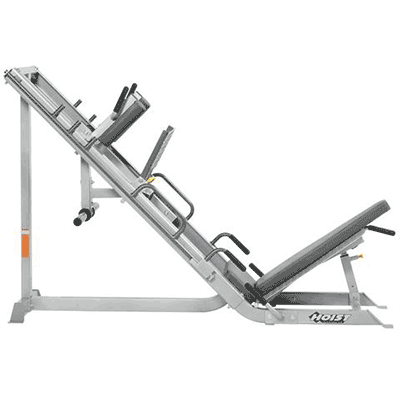 Adjustable platform ensures perfect positioning during exercises. 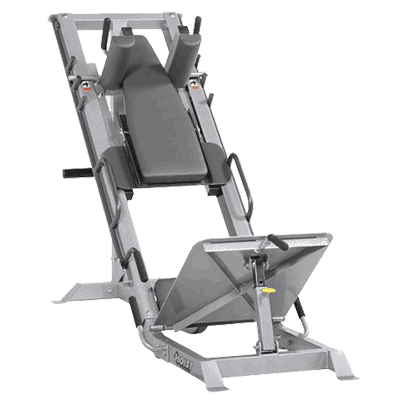 Multi-purpose back pad can be attached for hack squat and leg press exercises. Hack squat and leg press exercises facilitated by multi-position lockouts.